The Pinault and Arnault donations kicked off a wave of corporate and individual giving. Macron, who vowed to rebuild the 850-year-old Gothic monument, called for contributions and said he would draw on the world's best talents for the task. The elder Pinault, 82, is the world's 23rd richest person, with a fortune estimated at $37.3 billion, according to the Bloomberg Billionaires Index. Bernard Arnault, the main shareholder of LVMH Moet Hennessy Louis Vuitton SE, ranks third globally with a $90.4 billion fortune. 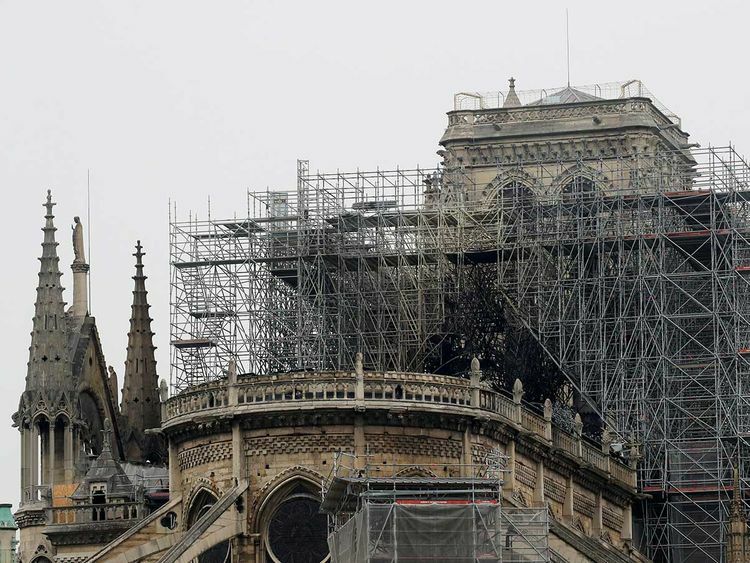 "Vinci suggests all building companies in France should join forces to rebuild Notre Dame in an industry-wide skills sponsorship drive," the company said in a statement, noting that the 13th century wooden beams holding up the roof will never be replaced while the remaining structure "must be safeguarded." Arnault and his family will donate money "dedicated to the construction of this architectural work, which makes up part of the history of France." LVMH "will put at the disposal of the state all of its teams - creative, architectural, financial - to help on the one hand with the long construction work, and on the other hand with the fundraising effort," the Arnault family said in a statement. Luxury fortunes dominate the upper reaches of France's wealth landscape. Arnault is France's richest person and Pinault the third. L'Oreal SA heiress Francoise Bettencourt Meyers is the country's second-wealthiest and the world's richest woman with a $53.5 billion fortune.